ITE Parts, Intercon Truck Equipment’s online parts store, aims to be a company that provides customers with an experience that is user-friendly, intuitive and, above all else: reliable. We are determined to surpass your expectations of customer service and buyer security in ways that go above-and-beyond that of a “brick-and-mortar” business. ITE Parts prides itself on its extensive selection and variety by offering over 30,000 products, from a broad selection of vendors; Aries Automotive, Boss Snowplow, Luverne Truck, and Ecco to name a few. While our website already gives our customers a vast array of products to choose from, we intend to expand and improve our selection as we proceed into the future. With our ever-growing assortment of products we are able to cater to both those who rely on our products for their daily professions, and those who want additional upgrades for a more personal use. Beyond our impressive selection, the team at ITE Parts reflects the same knowledge, dedication, and customer support that many people have come to respect from Intercon Truck Equipment. As ITE Parts continues to move forward as a company, we hope to continue to innovate in ways that not only meets the high standards of our customers, but exceeds them. With over twenty years of industry experience, Varitech understands the challenges you face, and they work hard to provide the liquid management solutions you need to be more efficient and effective in today’s environment. 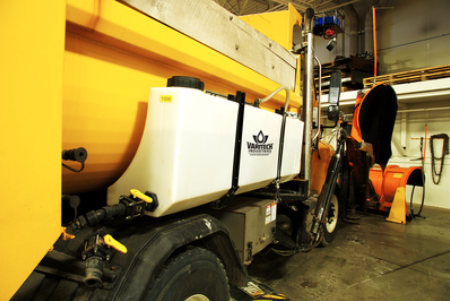 From snow and ice to dust and vegetation management, to an array of industrial manufacturing needs, their liquid production, storage and application systems offer you total control over road maintenance and more; all while being cost efficient. As a subsidiary company of FORCE America, Inc., they are backed by the leading supplier of motion and control systems. Varitech’s knowledgeable sales specialists work hard to deliver solutions that make your job easier and your equipment more efficient. They are interested in hearing about your unique business and putting their knowledge to work for you. Varitech’s solutions can be customized to meet your unique needs. CURT Group is a leading sales, marketing, engineering and distribution company of towing products and truck accessories for all types of vehicles, from passenger cars to commercial trucks. The CURT Group family of brands includes CURT, ARIES, LUVERNE Truck Equipment, RETRAC and UWS. They are a team of more than 1,000 associates world-wide, with manufacturing plants in Wisconsin, South Dakota, Florida and the Philippines, and 10 regional warehouses across the United States and Canada. CURT Group stand for EXCELLENCE in their products and associates. They aspire to be the industry LEADER by recognizing that the customer is king, and their associates are their greatest asset. CURT is the leading manufacturer of USA-made hitches and a complete line towing products. They offer the broadest selection of custom-fit receiver hitches for nearly every vehicle on the road today. They also offer gooseneck, 5th wheel and weight distribution hitches, as well as electrical components, ball mounts, trailer balls, cargo carriers, bike racks and other towing accessories. For everything from passenger cars and vans to full-size pickups and SUVs, CURT is “The First Name” in Towing Products. ARIES is a fast-paced marketer and innovator of truck, Jeep, SUV and CUV accessories. From automotive enthusiasts to professional builders, their products are built for the champions of individualism, innovation and attitude. They offer the perfect combination of unique style and durable construction, specializing in custom-fit grille guards, bull bars, side bars, and running boards; as well as Jeep Wrangler accessories. ARIES products are made vehicle-specific for a custom fit, and they are available for a wide variety of makes and models sold in North America. LUVERNE Truck Equipment has been manufacturing quality automotive accessories in the United States since 1963, and they’re nationally known and respected. Luverne offers a broad base of quality, functional aftermarket accessories for pickup trucks, commercial vans and SUVs. They specialize in American-made grille guards, running boards and side steps, and their products are primarily made from high-quality stainless steel, aluminum and mild steel. Vanair Manufacturing, the leading provider of mobile power solutions, acquired Goodall® Manufacturing January 3, 2017. Goodall is the leader in jump-starting and battery-charging technology, serving the transportation and construction industries since 1939. Their Start-All and Boost-All product lines are the most recognized starting equipment brands in the industry. Goodall is a tremendous addition to the Vanair family of products, bringing strong brand recognition and loyalty. The acquisition provides Vanair’s and Goodall’s mutual customers a one-source solution for any mobile power need. Both companies have pioneered markets and developed innovative products and technologies within their respective industries. With the strengths that the two companies have, the new ability to share technologies, and Vanair extensive resources, this acquisition will foster innovations and product evolution. Vanair offers Start-All® and Boost-All® products and related accessories under the Goodall brand. Goodall products will continue to be available through Goodall’s existing distribution network and also through Vanair’s distribution channels. Westin Automotive is an aftermarket product manufacturer and parent company of brands including FEY, Wade, Brute, HDC, and Snyper Westin Offroad products. Westin designs and delivers automotive products that give you the look and function you need to fit your active lifestyle. Westin Automotive products are proudly designed, tested and engineered in San Dimas, California, USA. Innovation, passion and consistency have made Westin one of the industry’s leading manufacturers for nearly 40 years. Their diverse range of products is backed by a superior manufacturer warranty. When it comes to your vehicle, Westin is the name you can trust. 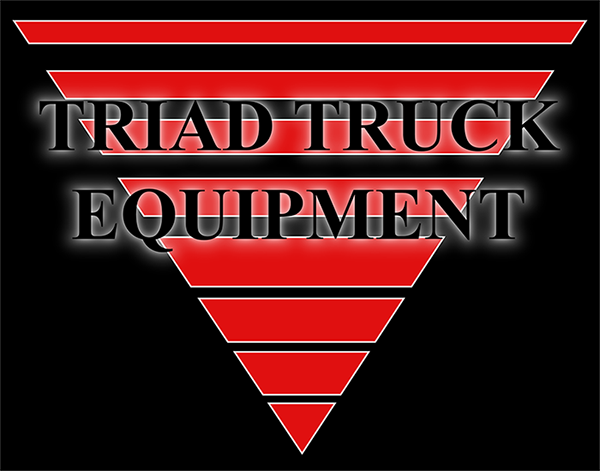 Triad Truck Equipment began in 2002, supplying and installing Beau-Roc dump bodies as well as truck equipment at their first location in Limerick, Pennsylvania. In 2004, Triad re-located to a new, expanded facility located on 7 acres which includes 15 truck bays, two modern, fully equipped paint booths as well as fabricating equipment. Triad proudly maintains a staff of highly-trained mechanics and fabricators to build and service their customers’ truck needs quickly and efficiently as well as an experienced, knowledgeable sales staff to offer technical support and pricing. Additionally, they have a large inventory of truck equipment on display in their newly renovated showroom. They invite you to call or visit for more information on the products and services they offer. A truck-mounted forklift is the ideal productivity tool for delivering more in your business – and for gaining more. More precision, more versatility, more profitability, more competitive edge. With a MOFFETT truck mounted forklift, drivers can unload cargo without waiting for assistance. The faster turnaround translates into better logistics and increased profitability. The lift fits conveniently at the rear of your truck or trailer, taking up none of your precious load space. You can transport more goods and earn more profits. Dismounting is a breeze and you are ready to get to work in under a minute. Every model in the MOFFETT range is designed with you and your applications in mind. Take a minute to discover why you can do more with MOFFETT truck mounted forklifts. Then get in touch today to find which one suits you best. They invented the poly fender, but didn’t stop there. Innovation is the name of our game. Over the last three decades, we’ve released custom molded floor mats, slick plates, workbenches, tool caddies and their newest product – the Long Haul Series of heavy duty truck seats. All of their products are available nationally thanks to their distribution system. You could be in Miami or Seattle. Doesn’t matter. Thousands of distributors stock Minimizer across the US and Canada. Minimizer is also known for the off-the-charts testing they put their products through. ‘Tested and Tortured’ is more than just their slogan… its standard operating procedure. It’s what allows them to offer the ONLY lifetime guarantee in the industry. 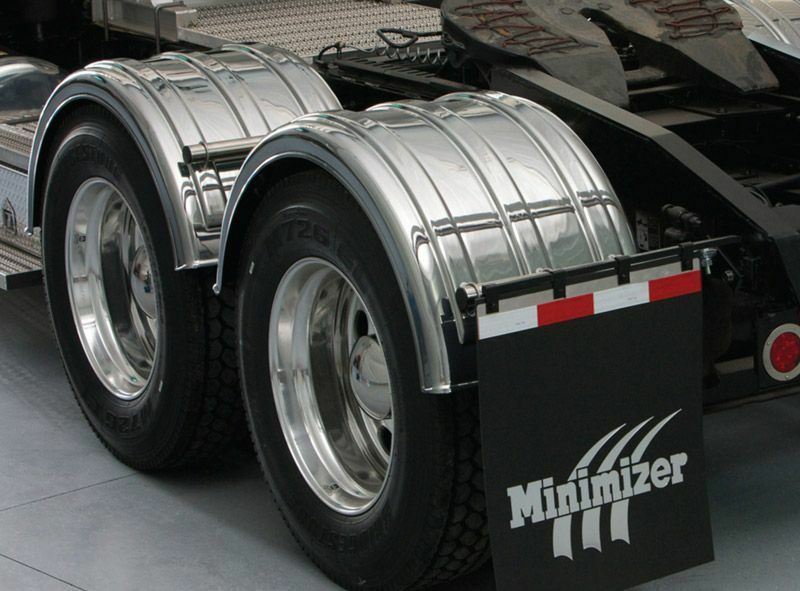 With 30+ years of experience and over a million units sold (most still in service today), Minimizer products are proven where it matters most: on semi trucks and trailers just like yours. Prime Design has been the industry’s ergonomic leader since 1992, when they first introduced the concept of an ergonomic ladder rack. 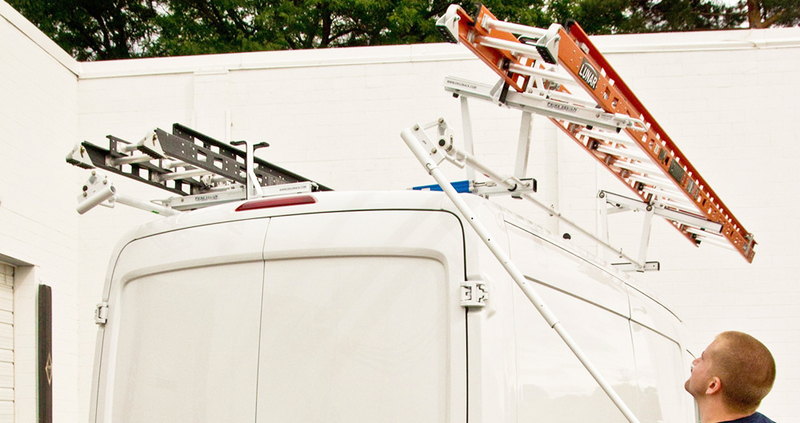 Based in West Saint Paul, MN, Prime Design is the leading innovator of ladder storage solutions for fleet vehicles. When loading a ladder, these solutions help reduce back and muscle strain while keeping feet safely on the ground. Their design philosophy starts with the worker – how can they make the job safer, easier and more comfortable for the human body? Prime Design firmly believes that a product’s design and how it impacts the user is every bit as important as the quality of materials and construction. CTECH Manufacturing was established in the early 90’s out of a need for a lighter, stronger, higher quality aluminum cabinet for race trailers. Jim Greenheck, owner and racer himself, developed CTECH’s exclusive MotionLatch drawer and door handle which allow for One Hand One Motion opening and closing/latching for transport. With its patented design, the MotionLatch has been an industry leader since its development. Although their roots remain deep in the racing world, their customers have pushed CTECH into new markets; now they have multiple product lines, respectively serving the Motorsports Industry with Carts and Cabinets, along with the Service Industry with their Industrial Carts, Service and Mechanic Truck Body Tool Drawers, Specialty Vehicles, CopBox Cabinets among others. CTECH is committed to investing in state-of-the-art equipment along with the latest engineering software and manufacturing technologies throughout all of their product lines. Experienced and loyal employees build products for some of their biggest customers including NASCAR, NHRA and all other nationally sanctioned race series, Cummins GenSet Cart division, US Military/Naval applications, Law Enforcement agents, and the Service/Mechanic Truck Body industry with tool drawers units. ProTech takes as much pride in customer service as they do in the equipment they make. From answering your call to getting you back on the road, they do everything quickly and efficiently without ever sacrificing quality. Delivering the best service and products in the industry requires that they never rest on what they did yesterday. That’s why their employees are encouraged to be master craftsmen and love what they do. At ProTech, they give them the tools and the freedom to discover new innovations. They share their discoveries and build upon them to make even better products, serve their customers more efficiently and invent new ideas for drivers to get back on the road even quicker. They worked hard to become an industry leader, and they’re willing to work even harder to stay there. ProTech has excellent teams in Vancouver, WA and La Vergne, TN dedicated to keeping them on top. Both ProTech locations work together to maintain the highest quality standards. It’s their people who help ensure that they lead the industry with the quickest response time on both custom and standard orders. They’re confident the bar will keep raising for years to come. From being one of the industry’s first to offer TGIC Polyester Powder Coating to adding gas pistons for safety, even the arrival of the 80’s couldn’t slow KNAACK’s roll. One of the most notable changes was switching from steel to aluminium. Furthermore, they continued to diversify, manufacturing additional truck boxes under the WEATHER GUARD® brand. It was this product expansion that enabled the company to proudly count municipalities and utility fleets to its base of users. Perpetually redesigning products to optimize user-friendliness and efficiency, it’s no wonder that KNAACK® truly stands apart from the competition. With state-of-the-art products like the Max View Clear Top Composite partition or the Max Rack Drop Down Ladder Rack, they lead the industry with ground breaking products. All Ranger products are built using heavy duty materials and have been engineered to be quiet and rattle-free. They back their products with an industry leading warranty, so you’ll enjoy years of dependable service. OEM manufacturers have been developing new models of cargo vans and commercial vehicles to meet the changing demands of tradesmen. They incorporate the latest in rapid design prototyping and state-of-the-art manufacturing processes, that allows them to lead the industry in first to market. To ensure that you can get your vehicle into service as soon as possible, Ranger offers the fastest shipping times in the industry. This means a standard turnaround of five days and an unbeatable 24-hour Quickship option on their most popular packages. Ranger has real people, ready to answer your call, not some frustrating automated or overseas answering service. They pride themselves on the fact that you will speak to one of their professionals every time you call. For over 40 years. A.R.E. has been manufacturing quality truck caps and tonneau covers for commercial and personal use. Packed with more options than you could imagine, you ARE sure to be satisfied. System One Modular Truck Equipment has developed into the company that it is today very differently from the way most other manufacturing companies begin. For many years, they were roofing and sheet metal contractors. System One learned early on that the efficiency of their entire company depended on how good they could become at working out of pick-up trucks. So, it is certainly true that their ladder rack design grew more from a need to be functional and practical than any other reason. It was with this idea in the late 80’s, combined with a lot of hard work, determination and 20 patents, that their ladder racks have evolved to the level they are today. For over 32 years, Kargo Master has been manufacturing the strongest, most stylish, and most durable modular truck and van racks available. This experience and expertise has been incorporated into their line of Safari Jeep and SUV racks. All of their products are designed, engineered, and manufactured in their 50,000 square foot facility located in Rancho Cordova, California. Their highly trained employees, state-of-the-art computerized equipment, and strident quality control systems guarantee that Kargo Master Products are second to none. Kargo Master offers an unsurpassed selection of time-saving accessories for their truck, van, and Jeep/SUV racks. If you are in the market for a rack, please shop around and compare quality and cost. Vanguard Manufacturing, Inc. is a full line manufacturer and distributor of ladders, scaffolding, truck equipment and specialty items. Vanguard is dedicated to providing the highest quality products and service in the industry. In addition, Vanguard’s family of companies include Vanguard Heavy Duty Truck & Van Racks, Scaffold King, Lynn Ladder & Scaffolding, Boston Ladder & Scaffolding Company and Lyn/Lad Truck Equipment.